called for Galway City Council this week to hear updates on the progress of the Galway 2020 programme. There had been a considerable amount of innuendo circulating regarding the operations of the company and what appeared to be a lack of progress. As a result the CEO and Chair of the 2020 Organisation came into the council chamber to make a presentation and update us on their progress. Certain councillors were critical of what were termed bumps in the road and percieved difficulties in progress. The reality is that the projected turnover of the 2020 bid will end up at around €46 million. This is a considerable sum of money and will demand a huge amount of activity and commercial organisation to justify its expenditure. No organisation either cultural or commercial of such scale will proceed without experiencing challenges and difficulties especially an organisation of this scale and complexity. Problems will invariably manifest themselves in areas such as operations, HR and indeed with the programme roll-out itself. That is why an executive team is appointed in the first place. It is their job to meet such challenges head on and deal with them. The reality of what is happening has been somewhat misrepresented in certain quarters and it was gratifying to see that those issues were in the main discussed and dealt with last Tuesday. For example in the recent past the creative director resigned his post and left by mutual agreement. This was an entirely personal decision and was not unusual for either a Capital of Culture organization or indeed any organisation. This would be the normal course of events for any large scale organisation to me became unexceptional when we were informed that the creative director in every Capital of Culture without exception changed in the lead up to the roll out of the progamme. The issues surrounding HR and employee tenure are often personal and always fluid. In this instance the creative director was in place less than one year and left with only his statutory entitlements. As Mayor I was an ex-officio member of the board and a member of its audit committee. The organisation had a clean audit in 2017 and will no doubt follow through in 2018. The board is has now been completely appointed and the executive team in the main is in place. The workload starts to ramp up no and this should become more apparent in the coming months. These are executive functions and should remain so. The deficit, if deficit is the correct term in the 2020 organisation in my view lies in communication of and the maintenance of the energy that existed in the lead up to the awarding of the accolade. The organisation was in my view a little lethargic in communicating its progress and achievements to the public and as such created a vacuum of sorts. This vacuum allowed those with personal agendas to set the narrative and suddenly certain elements of the media supported the position that Galway 2020 was in trouble. This is not the case and is an unfair reflection on the actual situation. Last Tuesday’s meeting did highlight that the communication and reporting structure is not where it needs to be. Publicity and branding needs to be ramped up and the operational and financial position needs to be presented to city council as the largest funders of the bid to date. This must be done as a matter of course and not become the subject of special sittings of the council as this sends out the wrong message. 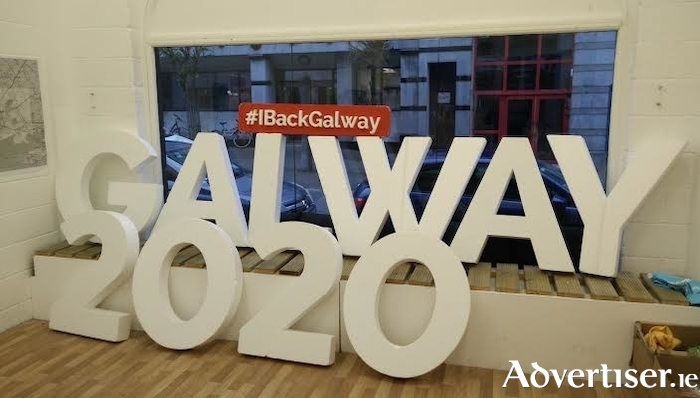 Galway City Council overwhelmingly endorsed the 2020 management team and its board with a vote of confidence in the 2020 organisation and its team. Are there problems within the organisation? Yes. Are these problems insurmountable or unusual? No. Is there any undue cause for concern at this time? No. One of my colleagues commented that we are 18 months out from the 2020 programme and we are not ready. Of course we are not ready, nor should we be. We need to be ready in 2020. Not now! I think the question we should ask is are we where we should be 18 months out from the start of the programme and 28 months out from its finish? The answer to that question is yes, in the main 2020 is where it should be and where it needs to be. 2020 is in a good place albeit there are significant improvements that need to be made. Communication and information flows need to improve and a greater understanding of the financial position must be provided to stakeholders. These improvements were promised this week so going forward expect a lot of good news and positive information regarding the programme roll-out. In short nothing has changed. 2020 is still the greatest thing to happen to Galway for decades, possibly ever. As we get closer to the date expect to hear a lot more, see a lot more and experience a lot more. It promises to be a magical time for all but like a child at Christmas time we must have patience, we must wait and see.